There are a few stand-out competencies that make up stand-out leadership. Strategic thinking. Communications. Influencing. Building relationships. Execution. But, in the end, unless you’re delivering results the world deems valuable, none of the rest is going to matter all that much. This is obvious: leaders must deliver. So why does it get a mention here? Because the day-to-day can quickly send us into a cascade of busy-ness and firefighting that promotes focus and attention on the immediate – and forgets the longer-term result. And I don’t want my agenda dictated by the fires, but by my #1 result. So, as leaders, what do we need to know to ensure we are on track to deliver the ultimate result? Here are five cornerstones to your results-delivering leadership strategy. Get really clear on what a successful result is – including all its components and in all its potentially varying forms. The ultimate result is always going to be a mix of many moving parts, with trade-offs, compromises, additions and subtractions along the way. Having a crystal clear vision of what a good result looks like grounds those decisions and keeps us heading towards a positive result. 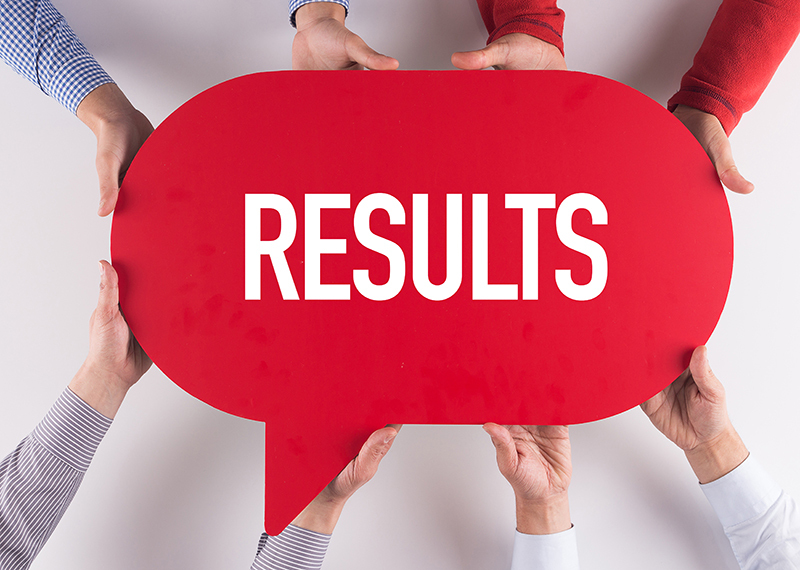 Notice we’re talking about successful, intended, positive, valuable results – not just results. We always get a result. We want to be more specific than just a ‘result’ in our vision thinking. In tandem, get clear on why the result matters and what it’ll lead to. The why is crucially important when communicating the intended result to the team, stakeholders and all others involved, to set the right foundation, get necessary agreements and buy-in – and to keep everyone motivated. The answer to this question should be clear – else we need to revisit the fundamental questions of whether this is a project we should be spending time, money and resources working on. With that clarity on who the result is for: keep coming back to them as one of the key determinants of a successful result. Not just at the project’s conclusion, but as we move through the project. Their wants and needs will continually help clarify the conditions of that successful result. And offer valuable perspective and input that can lead to faster and better (defined as: valued!) results. While everyone else working on the project will be focused on their interests and their little corner of the result, your role is to be up above that granular thinking and to direct from a higher-level perspective. Start with the vision. Set the goals. And then work backwards from there. Reverse engineer back from the result to get clear on the major moves and key milestones to achieving the result. We’re not looking for every detailed step (no forward planning would survive contact with the real world anyway! ), but rather the overarching path to an outcome. Working backwards in this way will help you stay out of the detail, while getting clear on the kinds of resources (especially people) you’ll need to deliver the result. The immediate team might be our first thought when we think about who we need. But there are other crucial roles in the achievement of a result. Influencers. Champions. Sponsors. Advocates. Partners. And who else needs to know? Assembling the right support network around an initiative is central to its successful achievement. This is not business-as-usual. This is a special project that’s leaning into the status quo. Creating something new. Delivering change. You’re going to need the involvement of key players in the organisation. If you’re great at the strategic thinking, but not that keen on the detail, who will you bring-in who loves and is great at that detail stuff? If you’re superb at organisation, how valuable is it to add another organiser to the team? Take the mature leadership stance that we can’t do or be excellent at everything; and that it’s far more effective to bring-in a group of people, all of whom spend the project working in their area of special talent. What gets time and attention gets done. And as we’ve just reminded ourselves, we can’t do it all. So as a leader: what’s our primary role in this result? And given that, where does our time and attention need to be focused? As a leader, our role is not to figure-out every tiny detail on getting to the result. It’s about crafting and communicating the vision, assembling and influencing the support network around the change, coaching and mentoring the people who are on the delivery end, and taking the strategic decisions that keep bringing us back to the result. A final challenge for you. In pursuit of the result, keep asking yourself: “how do I rate the quality of my leadership thinking, right now?” Notice where your thinking is. What you’re doing well. What you’d like to modify in the immediate future. As a leader, your quality of thought is the most powerful contribution you make to your team.